NEW YORK (AP) — Notre Dame remained No. 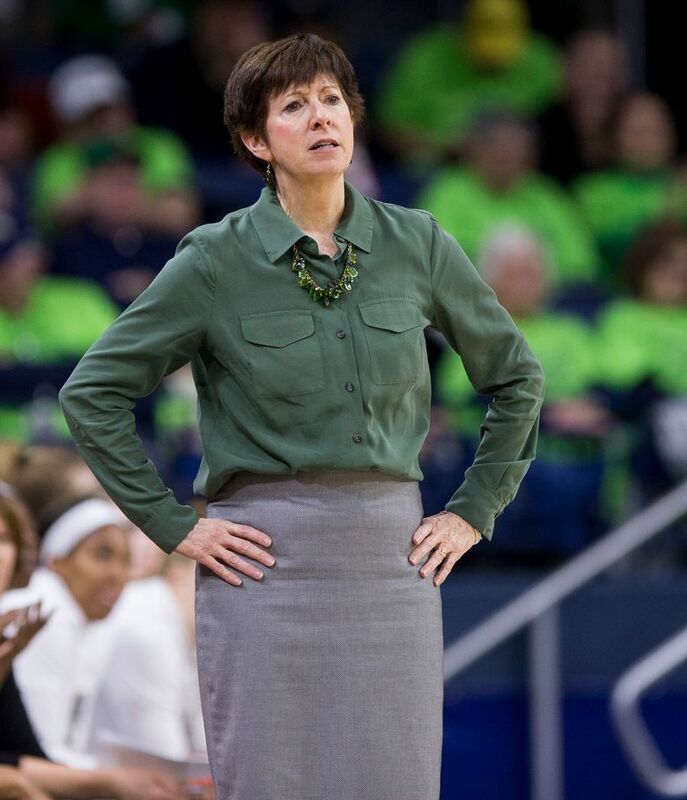 1 in The Associated Press women’s college basketball poll after beating then-No. 2 Louisville last week. FALLING LADY VOLS: Tennessee dropped seven spots this week to No. 20 as the team is riding a three-game losing streak. It’s the first three-game skid for the Lady Vols in 33 years. They fell to Missouri, Kentucky and Georgia by a combined eight points over the last eight days. LAST OF THE UNBEATENS: N.C. State is the final unbeaten team this season. The Wolfpack (17-0) are 4-0 in the ACC for the first time since the 1999-2000 season. As of now, they won’t face a ranked team until visiting No. 12 Syracuse on Feb. 13.